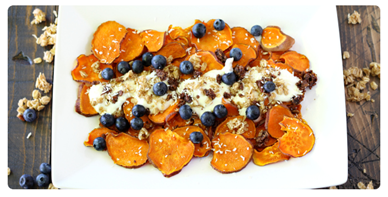 As you probably know, May is Celiac Awareness Month, and we would like to mark the occasion by sharing a giveaway and 3 awesome gluten-free recipes (entry form & contest rules located at the bottom of this post). 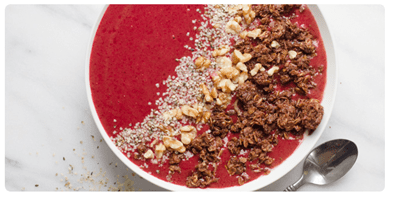 Throughout May, Van’s is offering an opportunity to try its NEW gluten-free granola and snack bars, and a chance to win a giveaway valued at more than $150! Van’s nutritious but indulgent Soft-Baked Whole Grain Granola Clusters in Double Chocolate and Banana Nut and Van’s NEW Gramwich Sandwich Bars are a great snacking solution for those who are avoiding gluten but tasty enough for anyone to enjoy regardless of their dietary needs. To celebrate Van’s new yummy gluten-free snacks, we are featuring a giveaway event for $25 in Van’s coupons, $100 visa gift card and a reusable lunch set. Now for the giveaway! 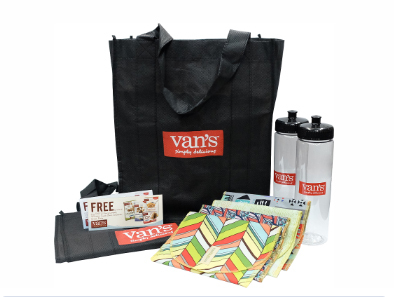 One lucky winner will win a Van’s Gift pack including: $25 in Van’s coupons, $100 visa gift card, reusable lunch set. So head below for your chance to enter to win. Giveaway ends on 5/30 at 11:59pm EST. This giveaway is open to US only and you must be 18+over to enter. Good luck!! Disclosure: rays of bliss is not responsible for sponsors who do not fulfill their prize obligations. Facebook, Twitter, Pinterest and any other social media are not affiliated with this giveaway. This giveaway is sponsored by the Van’s. I received compensation for this post. Regardless, I only recommend products or services I use personally and believe will be good for my readers.